Anyway, enough of the self pity. 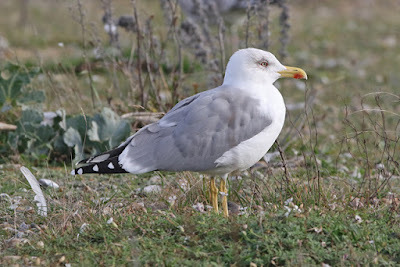 And after a good night's sleep, I headed down to Dunge mid-morning for some gull action. 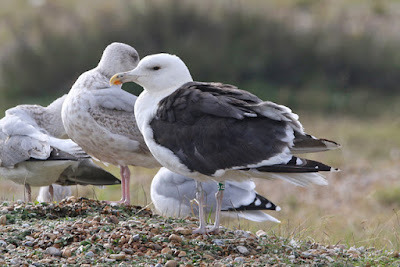 When I arrived, chucked a load of bread out and in came a smart Dutch-ringed Great Black-backed Gull - seems to like food, as the ringer Roland-Jan Buijs caught it by hand by a fish and chip shop in Scheveningen harbour, Zuid-Holland as recently as 12th October 2015! I'd totally forgotten there'd been a Dusky Warbler about, and it wasn't until I saw a few birders over at Channel View that I recollected that. And so I headed over, taking in a couple of adult Yellow-legged Gulls on the stroll over (plus a couple of regular Great Black-backed Gulls - from Norway and Guernsey). On arrival at Channel View, there was a small crowd present. Typically, the warbler was proving to be a bit elusive but a Firecrest showed really nicely as I arrived - before heading off west. 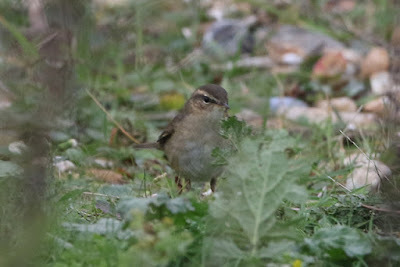 However, after a bit of a stomp about, the Dusky Warbler started calling from some nearby scrub and was coaxed out, with my first views being relatively brief. Over the next half an hour or so, it kept pretty low down but at times showed itself quite nicely (though briefly throughout). 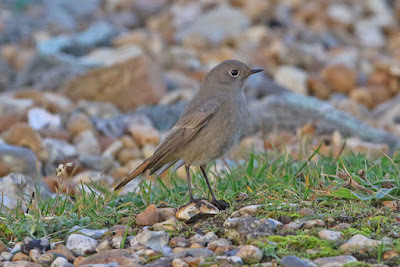 To be honest it's probably getting on towards a decade since I saw my last Dusky Warbler so pretty happy with my fill, despite forgetting there'd been one here. The gull spectacle with Mick S and Richard S failed to materialise today though, possibly due to the high tide late afternoon. 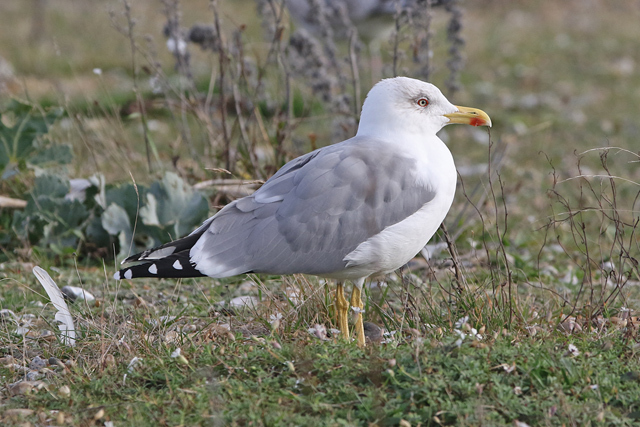 So no Caspian Gulls about, though a couple of first-winter Yellow-legged Gulls added to the couple of adults seen earlier. I got a little bored and had a wander, and found a couple of these little guys in between the fishing boats near or dusk. So with a cracking sunset and a few interesting bits and bobs, I headed home. It wasn't a Chestnut Bunting, but was a pleasant late autumn day out.